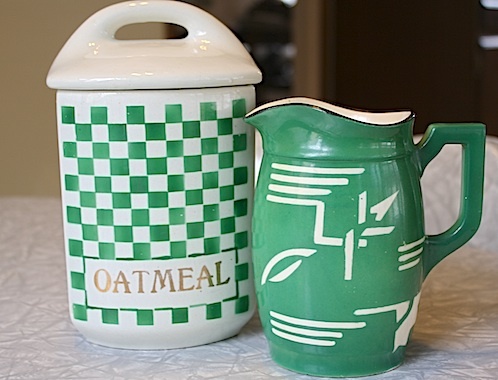 On the Doorstep: Vintage Living: How Authentic Are You? Vintage Living: How Authentic Are You? I love vintage things, otherwise known variously as antiques, my grandmother's things, junk, and old stuff. I don't think about it that much. I'm hardly unique, judging from the number of vintage and retro-themed blogs out there. 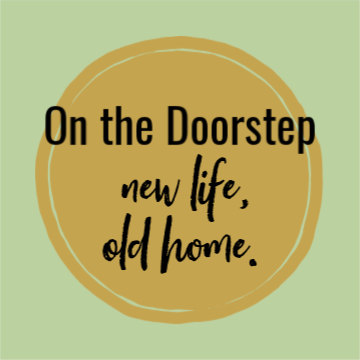 Most of the time, I'm just an enthusiastic disciple of the whole vintagey, retro thang, working on fixing up my old house and hitting up my next thrift shop. My oldest son had his wisdom teeth out recently, and for some reason, that got me thinking about what we think about when we embrace the past to the degree some of us do. I know that his oral surgery in 2013 was a great deal different than it would have been in 1939 (the year my house was built). And I'm profoundly grateful for that. Vintage lovers seem to fall on a spectrum ranging from those who try to emulate a certain era right down to the last detail--the house, the furniture, the housewares, the cooking, the hair and makeup, the clothes, the music-- to those that collect a few favorite items, but don't trouble themselves much over creating the whole "look" or any level of "authenticity." You run into the word "authentic" a lot when you're talking vintage. This particular color is "authentic" to 1950s bathrooms. This model of refrigerator is "authentic" to a 1940s kitchen. This clock is "authentic" 1960s. In some retro and vintage fan circles, the closer you can place yourself to an exacting replica of these past eras, the more "authentically" vintage you are. Time capsule houses, ones almost completely unchanged in 30, 40, or even 50 years, are seen as the perfection ideal of vintage appreciation. 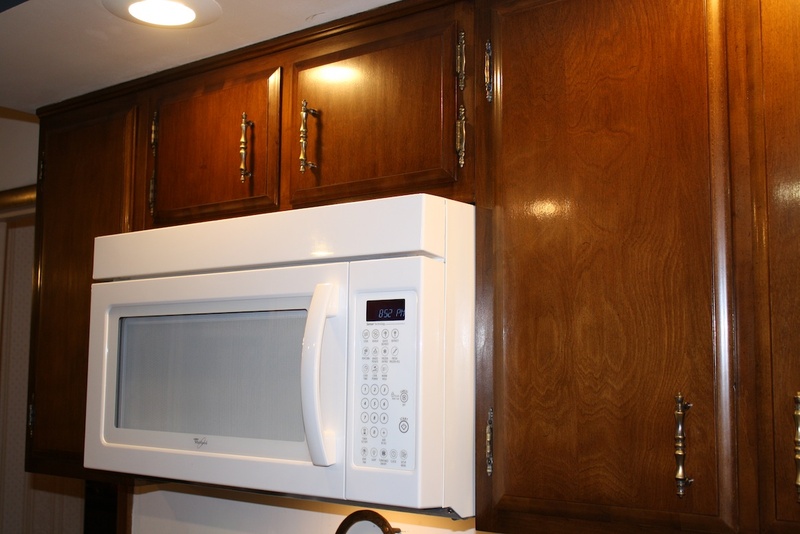 My microwave is there, above my stove, very post-1990s style, up in my 1960-70s kitchen cupboards. I need the appliance, and I need the counter space. In a home with four constantly eating children, this isn't negotiable. I'm unapologetic about my love of modern appliances in general, not just my microwave. 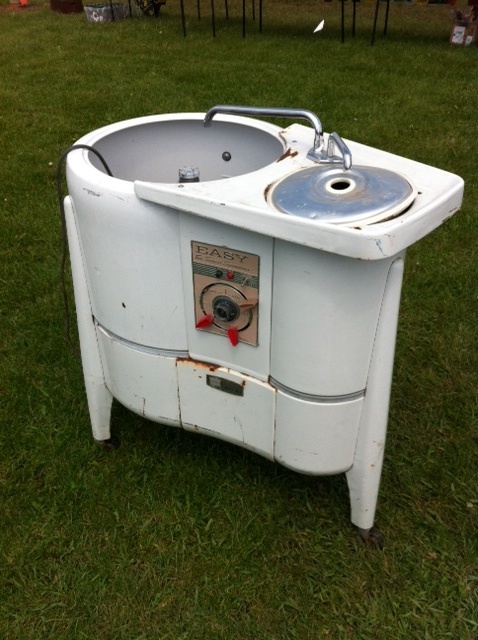 My own mother, who is not at all elderly, remembers heating water in a copper washboiler in a farm shed and using a wringer washer to get clothes clean, starting with the dainty whites and ending with the farm coveralls to keep the water as clean possible as it progressed through the week's soil. It claims to be "easy." Easier than beating your clothes on a rock down by the river, sure. I'm sorry, but I wouldn't go back to that if you paid me. Let's continue to unpack that idea of "authentic" vintage living a little more, shall we? Do you even know where your iron is? 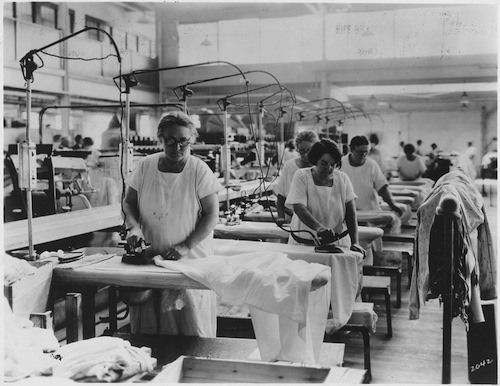 Documentary photo of a commercial laundry, 1920, U.S. Dept. of Labor. Wikimedia Commons public domain photo. Perhaps it is because I am only the first generation in my mother's family not to be raised on the farm, but I can think of hundreds of menial tasks of the past I'm glad I'm free of today. Ironing may be from choice. But there are plenty of others that weren't optional for our grandparents and great-grandparents, everything from chicken manure to unheated houses to pages torn from an old catalog for toilet paper. Would you really wear this on purpose, just to be "authentic?" 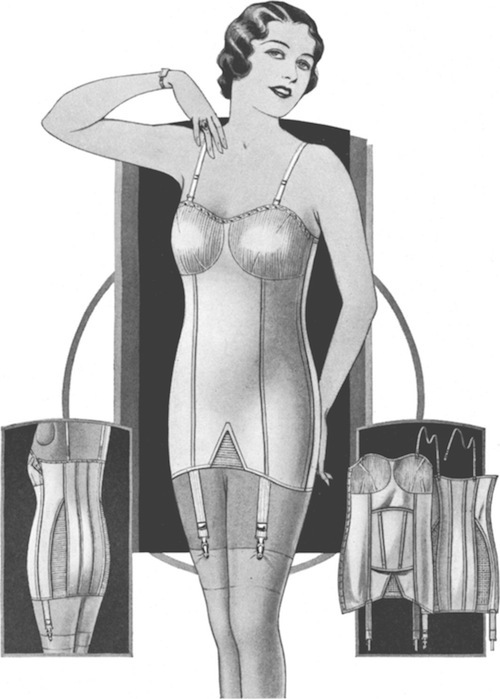 A catalog illustration from 1933. A Wikimedia Commons public domain image. There are undoubtedly those out there who would. But most of us like to breathe, thank you very much, and don't much care for garter buckles jabbing us in the backs of our thighs. There's a REASON why we moved on from such things. See also: sliced bread, automatic coffee pots, zippers, internal combustion engines, and elastic. The past wasn't always better for a lot of much, much less funny reasons. Everyone who wishes they'd been around for the dawn of the Jazz Era will say they would have loved the music, the flapper dresses, the Art Deco design. 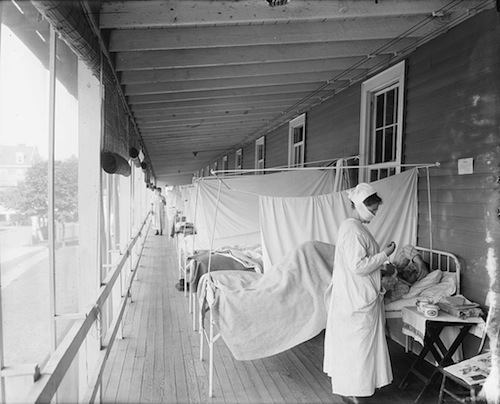 Influenza ward at Walter Reed Hospital, 1919. A Wikimedia Commons public domain photo. Nobody talks about how they want to travel back in time to be an influenza victim. There are other, even less charming aspects of almost any era. See also: Jim Crow, Little Bighorn, polio outbreaks, insane asylums, and the Great Depression. I'm not trying to be buzz kill or a moralist. I think most people who are enthusiastic fans and collectors of any era are good enough students of history to understand and appreciate these considerations. I am just struggling to properly frame why we do what we do when we drag home old aprons from flea markets and bid frantically on Ebay for kitschy ashtrays. The truth is we're all being highly selective in what we choose from the past to accompany us into the present day, whether we are striving for a perfectly "authentic" time capsule of a 1950s living room, or just a few pieces that hint at an era we feel special affinity for. I find it hard to use the word "authentic" when we're talking about what is really that highly selective process. My personal category is for old, green things. 1. Home restoration: many become drawn into a certain time period in the process of renovating an old house. 2. Nostalgia: Good memories of our childhood, or shared memories of a grandparent's childhood, become the basis for vintage collecting. 3. Personal identifiers: Sometimes people have affinity with a certain time in history, viewing it as more socially stable, artistically vibrant, full of rugged individualism, or some other value that they appreciate, more so than our current time. 4. History: Many are interested in collecting vintage in the more academic sense. 5. Aesthetics: The colors, design, architecture, and fashion of an era appeal to certain tastes. 6. Budget: This one can play both ways. Some end up with vintage pieces because they can only afford older pieces rather than brand new retail. Conversely, some people's vintage collecting is limited because certain vintage items are rare, coveted, or trendy, and prices are high. I believe that I am most heavily influenced by aesthetics, budget, and nostalgia. Being driven by what I like and what I can afford regardless of the era, means that my approach is pretty free-wheeling. For instance, I don't dig the pastels of the 1950s, but instead prefer the clear, rich colors of the 1930s or the earth tones of the 1970s, both of which you'll find in my home. I think pinch-pleats look prissy and uptight, yet I love a starchy ironed apron. I have Gothic Revival chairs from the 1920s sitting around a late 19th century table in my dining room. 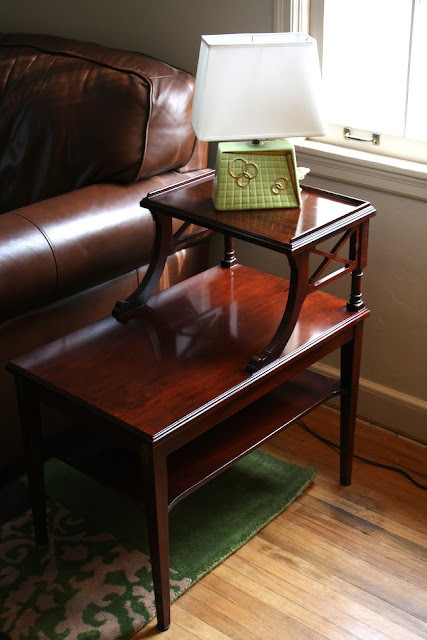 At one end of my sofa I have a 1940s end table and at the other a 1950s end table, partnered with a 1970s mediterranean style credenza. And all of it is anchored by a modern sofa and rug. The lamps range from the 1930s to the 1970s, and I'm more interested in the shape and color than having them all match or fit a time capsule theme. I think it's more fun that way. And to tell you the truth, I'm a bit of a rebel. If I was told that I "must" have this and this and this to have a perfectly "authentic" midcentury bathroom, for example, I'd probably just shrug and do what I wanted, anyway. I'm a homeowner, not a set manager. Time capsule homes are not the norm, but the rare exception. Only a few survive, and that is because most people simply just didn't, and don't, live that way. If you could send yourself back to May of 1920, or September of 1942, or November of 1974, and walk into any middle class American home, the belongings would be a mixture. Possessions with a shorter life span-- clothes, small household items--would be newer, and other more durable things--appliances, furniture, hand-me-downs, family heirlooms, paint and wallpaper-- would be in a range spanning multiple eras of the current and perhaps former century. Time capsule rooms or homes are really only the product of a very narrow and specific set of circumstances: few or one owner who are a combination of conscientious caretakers, uncomfortable with change, extremely frugal, and disinterested in trends. They are sort of like inheriting a museum, or creating one. Most of us who own an older home instead own the multiple layers of an archeological dig, a time sandwich of many ingredients. That isn't to say I'm bashing time capsule homes or their owners. The fact that I find time capsule homes less realistic representations than the wider norm doesn't mean they are worth less; in fact it makes them even more special and unique. They are wonderful, awesome overloads of patterned wall paper and blue toilets and paneled family rooms, and they provide us with invaluable information about the history of our domestic life. I admire people who seek them out or create them, own and maintain them --they carry a special responsibility to the past and what the future will know about it. I just know that for my own lifestyle and my own tastes, the mixed up layers of the archeological dig are more where I am comfortable. I am glad the vintage love spectrum is wide and accommodating for all our separate versions of crazy-about-the-past. Where to you fall on the vintage spectrum? Only what finds its way home through yard sales? Vintage fashion but not furniture? The whole giant retro enchilada, right down to the Pyrex casserole dish? How does that fit your taste, personality, and memories? And to think a few wisdom teeth started this post. I think I'm going to need to switch to decaf. A lot to think about! I could easily manage doing a completely "period" house in our home due to how much of it was left original - and I have an easy time buying pieces from 1956. That said, I love sooooo many different things from different eras that I just can't do it. I love wacky 70's colors and wonderful Shaker wood pieces....and so on and so on. I've decided to just mix it all up and enjoy things more. It doesn't bother me when people have completely "period" homes and in fact, I love touring them. I just couldn't live in them because more than likely, I'd want to bring things home that wouldn't match in a million years. And you're right - our parents and grandparents would have had items from many generations: pieces handed down, hand-built pieces, brand new pieces...all mixed up. I love that. Re: the microwave. Lord have mercy, I do admit that i love using our microwave but I hate having that thing in the kitchen. If I could hide it away, I would. I'd also have loud, energy zapping vintage appliances too if I could. But...it's not going to happen unless the lottery is good to me. The Mister and I were having the battle of the flat screen TV last night - how it stands out like a sore thumb in a living room with Mid-Century furniture.... So it goes. And Eartha, I love your "close-to-time-capsule" home! But you're right, I'm the same way. I like to flirt around with a bunch of different eras rather than stick with just one. You gotta do what makes your heart sing. And wow, the TV has been around since the late 1930s, and we STILL haven't figured out how to make them "blend" into a room without becoming the high holy electronic altar that dominates everything in the room. If you figure out a solution, let me know. We don't even have a large one, and I hate that thing sitting out there. Oh dang, I wrote you a long reply, and the comment gods ate it. Short version: I love this post. You've said so many things I've thought. We'll never have a time capsule house, and that's OK with me. Sorry I missed the long-play version! :) I've had neighbors and friends who owned National Historic Register houses, and you don't own such houses, you are caretakers for them, and the decisions in a way, are made by the house. I can see that being similar with a time capsule house, and I'm not sure I'd be comfortable in that role. I'm so glad there are people who are! I think that maybe what drives some of us to collect certain things/certain eras is to have a small little touchstone to the past.....a touchstone that maybe we think was to a kinder and gentler time. I totally get that the past was not perfect and technology has made our lives easier now - but maybe it's made our lives a little more disconnected in some ways too.....like all the families I see looking at their phones all through dinner when we go out to eat. No, I probably could NOT live without a microwave....but I do know where my iron is and yeah I do use it! My house is not a perfect time capsule by any stretch, though I would LOVE to find a 50s time capsule house to move into. I would say that our house is kind of a mish-mash too, but really mostly about the 50s. Honestly, I've loved the 50s since I was really young and I started buying vintage 50s dresses when I was in high school in the mid to late 80s. Okay, first off: No way did you go to high school in the 1980s....your pictures look far too young! I think I agree with you about the touchstone idea. I think my own draw to the 1930s-1940s mostly has to do with my grandparents and great aunts/uncles. They were young people through the Depression and WWII, and while historically it was an awful time in the world, they also seem like they had a lot of fun with very simple things and made the best of bad times. I admire that quality in that generation. And I hope your search for the time capsule home comes to a happy end soon. I know how hard you've been looking. Wherever it is, I know you'll be perfect for it, because I know you'll do your best to take care of it. Oh Laura, thank you SO much for the kind words - they pretty much made my week! Yes, I did go to HS in the late 80s.....graduated 1989. eek! shhhhh, don't tell anyone though ok! I know what you mean about past generations making the best out of bad situations, I admire that so very much too. It was a time when things could be simple and beautiful and just be enjoyed. Thanks so much for your well wishes on our house search, it means a lot. I don't know that we'll ever find that total time capsule around here.....but I'm still hoping against hope for that pink bathroom to one day be mine! All content copyright ©-2011-2019, all rights reserved. Simple theme. Powered by Blogger.